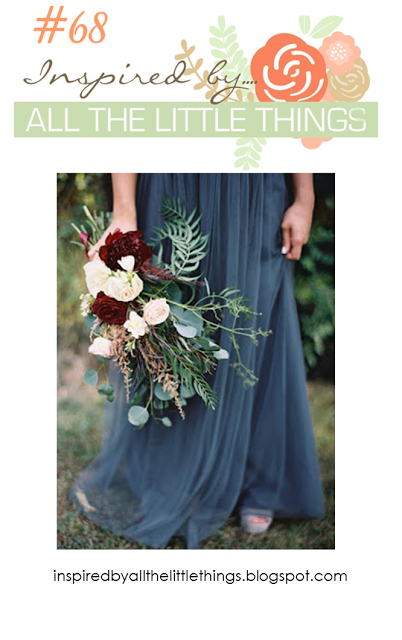 Another Saturday means another Inspired By All The Little Things challenge! We have an incredible photo to get your mojo moving! I was inspired by the colors, leaves and stripes in the afghan. 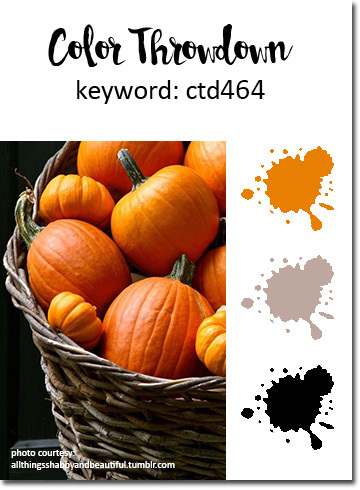 I had first pulled out an autumn coffee cup digi, but then my card took a life of its own - lol! I started with the background brushstroke stripes using distress oxide inks (I'm really loving the coverage these inks give!). These leaves from Simon Says Stamp's Stamptember release - Ornate Leaves - are my new faves, so arranged a trio of them with one of the sentiments. The coffee cups just didn't fit, so I gave them the ax! STAMPS: Ornate Leaves (Simon Says Stamp). 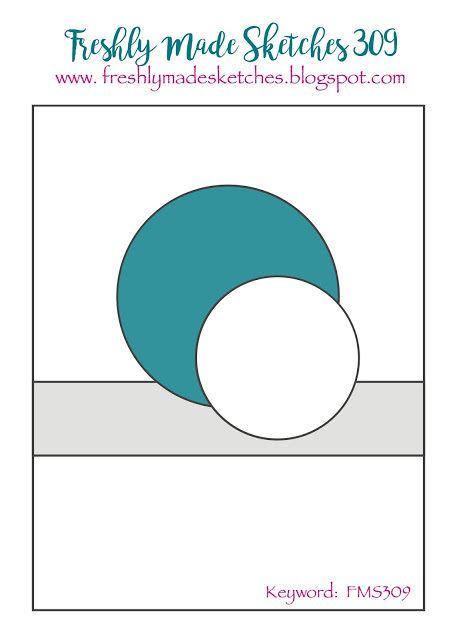 PAPER: Vintage Cream (PTI), Not Quite Navy (SU). INK: Faded Jeans, Fossilized Amber, Spiced Marmalade, Fired Brick - distress oxide inks by Ranger. MISC: Oval punches by SU; Wonky Stitched Rectangle die by Lil' Inker Designs. 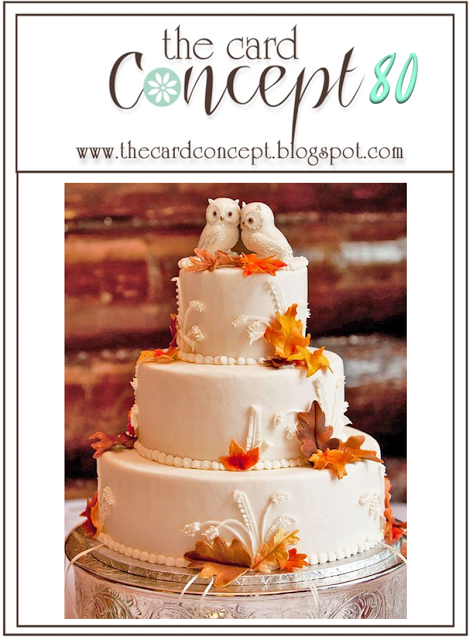 Our guest designer in the spotlight this week is Kelly Lunceford of Flutter by Atomic butterfly. Be sure to stop by her blog and say hello. Now it's your turn to get inspired and play along! Hooray for a long four day weekend off work! Late last night, I played with this new Fantasy Floral die set from Altenew and is it ever fun and easy to line up the 3 layers! Can you tell I have such a hard time trying to resist buying more florals - whether it's stamps or dies - lol?! I used two different pinks from my Mijello Mission watercolor paint set and made varying shades of the colors depending on how much water I added. I splattered a darker green over the leaves which were initially watercolored with an olive shade of green. I wanted the flower to pop so it was a no brainer to use black and white with it. The sentiment is from the Painted Greetings stamp set by Altenew. Patterned paper is by Recollections. 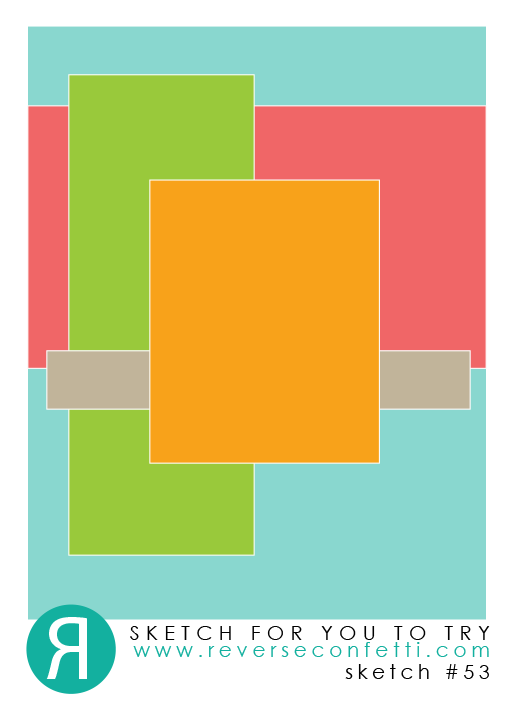 I'm playing along with the Freshly Made Sketches challenge and love Kim's sketch! That's all for now, but check back on Wednesday for another card using these floral dies on my Color Throwdown sample! Enjoy your weekend! It's Friday eve and a startling fact is that Christmas will be over in 2 months from today - EEEK! I need to get a serious start on Christmas cards but it won't be today - hahaha! I needed two pastor appreciation cards, so I went to my 'go to' Plain Jane stamp by Verve using the verse from Jeremiah 17:7. I white embossed on Baked Brown Sugar cardstock then die cut with MFT's Traditional Tags STAX. The little half circle topper is from PTI's Tag Sale #3 die. I CASEed the layout from this card by Amy Sheffer that I had saved on Pinterest. I arranged the die cut stamped elements from PTI's Holiday Greens stamp set very close to Amy's design. I love that this can be used for any winter card...not just Christmas. The background was embossed using SU's Woodgrain EF then lightly sponged with Baked Brown Sugar ink. Whoa! We're at the last Wednesday in October already and I really wish the time would slow down a bit! Lisa is our hostess for this week's Color Throwdown Challenge and has some fabulous fall colors for us: eggplant, olive and rust! I just got the Plaid Background stamp set from Concord and 9th in the mail last week and knew I wanted to incorporate some plaid in my design. I sprayed some water on watercolor cardstock and stamped the leaves from C9's Wildflower stamp set with Crushed Olive distress ink which caused it to "bleed" a bit. After brushing some more of the ink in random areas, I dried it with a heat gun then restamped some leaves with Old Olive ink (SU). I colored in the berries with a Zig marker. 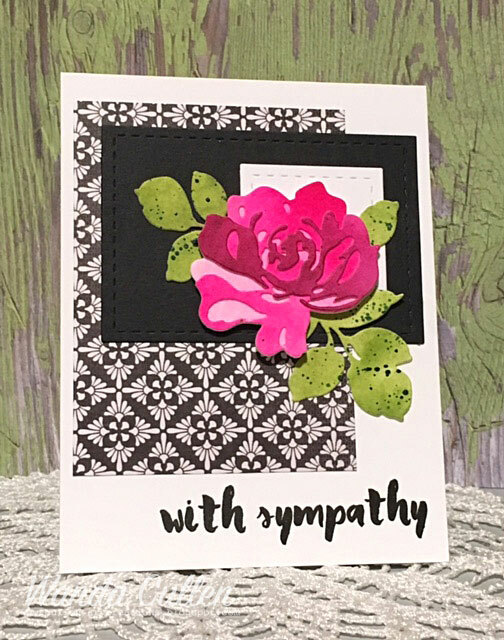 I then die cut C9's Floral and Flutter die flowers from Cajun Craze and Elegant Eggplant CS (SU) and adhered clear dew drops to the centers using SU's fine tip glue pen. 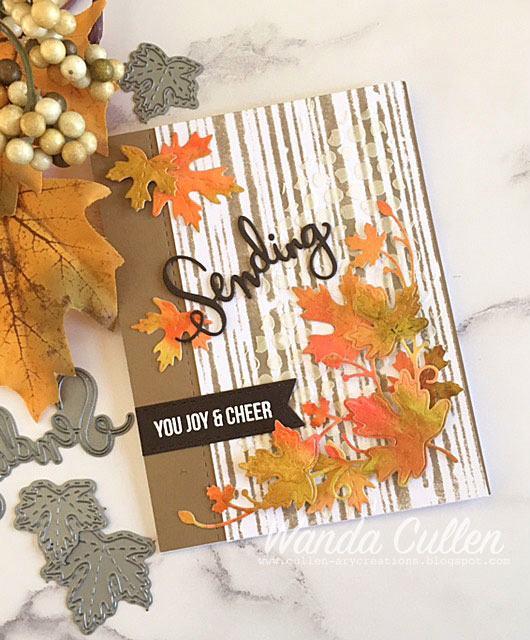 The rust border was die cut with Reverse Confetti's Edge Essentials die. The card ended up much busier than I wanted, but I had invested so much time in it and didn't want to trash it - lol! The final touch was a white embossed sentiment from C9's Hello Lovely stamp set. We're happy to have Kapina from the Little Turtle's Room blog as our guest star stamper this week! Congratulations! 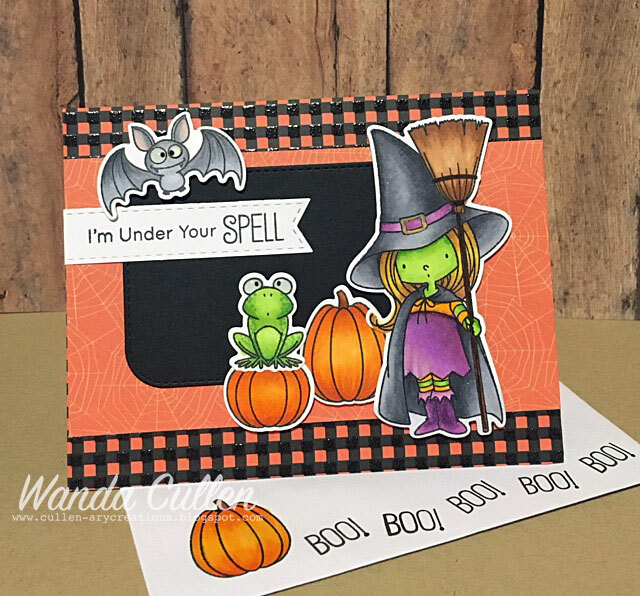 I needed one more Halloween card for the grands, so went with the current Sketch For You To Tty layout and to Reverse Confetti's adorable Monsterous stamp set with matching dies! They are so much fun to color with Copics and the Crystal Effects added to their eyeballs is the perfect fun touch! Papers are from RC's Fright Night 6x6 pad and I'm using their Grape Soda, Tangerine and Lime Green cardstock. Inker Designs); Stitched Fishtail Flags Die-Namics (MFT). Now I just need to get these cards ready to mail and hopefully bring a smile to some sweet little munchkins! Hope everyone is having a super Saturday! Looks like some wonderful fall weather is in store for us in VA, but I'll be heading to work this afternoon (insert sad face here). 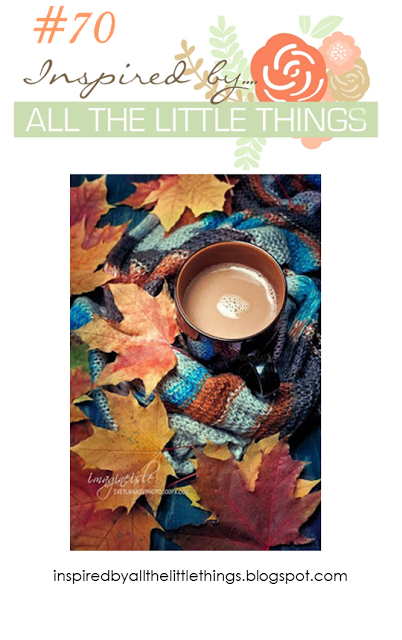 There's a new Inspired By All The Little Things challenge going on and we hope you will find some time to get inky and join in! 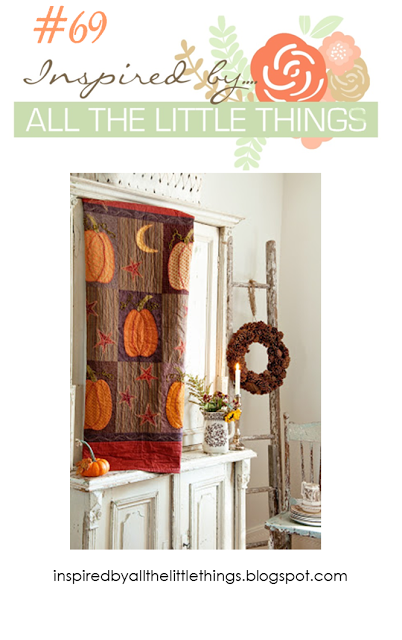 There are lots of great elements for inspiration in the photo and I zeroed in on the ladder with the wreath along with the beautiful quilt colors! 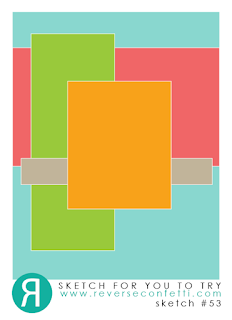 I'm once again using this Tall Stripe Panel die by Reverse Confetti. I used it last week and pulled it out again to mimic the ladder concept. Love this stamp set which is a special collaborative set between Simon Says Stamp and Gina K Designs where all the proceeds of its sales will go to hurricane relief efforts. I had to resort to fussy cutting (I'm afraid wafer dies have spoiled me and I can only hope they might come at a later date - hint, hint!). I chose the border sentiment stamp from Concord and 9th's Lace Leaf stamp set and stamped it in Chocolate Chip ink. The wreath was die cut with MFT's Stitched Circle Die-Namics. Papers are from the Glitz "Sunshine in my Soul" 6x6 pad. I used Distress Oxide inks for the florals: Peeled Paint, Fossilized Amber and Spiced Marmalade. Our special design guest for the week is Meredith MacRitchie of A Delightful Waste of Time. Stop by her blog and say hello! 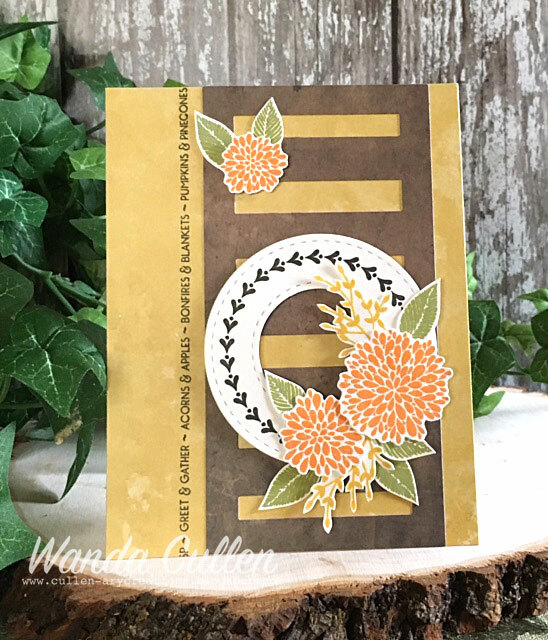 I'm on a roll with yet another card using the Simon Says Stamp September card kit. This time it's for the CAS(E) This Sketch challenge. The flower and leaves were fussy cut from one of the patterned papers (My Mind's Eye "Blush" 6x6 pad) and popped with foam tape. I dusted off an old Spellbinders die set called Classic Diamonds. The sentiment is from Simon Says Stamp's Brush Stroke Messages. This was so quick and easy! Yay for Friday! It's another sunny and chilly day but should warm up to be a glorious fall day! 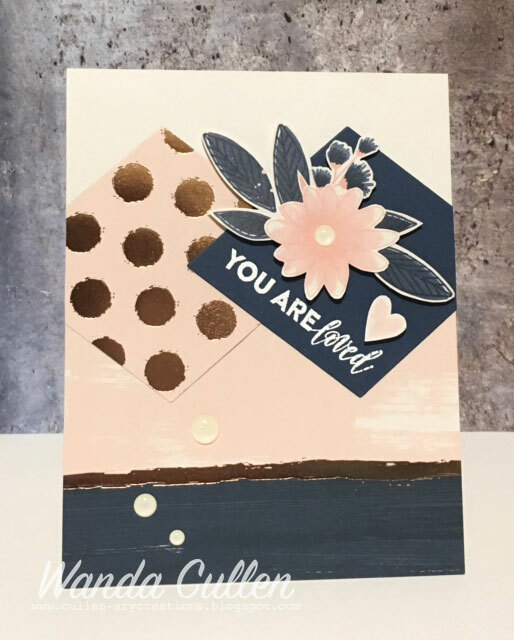 I created this card late last night for the Freshly Made Sketches challenge and used products from Simon Says Stamp's September card kit. I love the unique colors in the papers and am anxiously awaiting the restocking of My Mind's Eye Blush 6x6 pad! The metallic elements are a rose gold color IRL and I found it really hard to photograph. Two of the florals were die cut and the third one was fussy cut from a leftover section of one of the patterned pages. 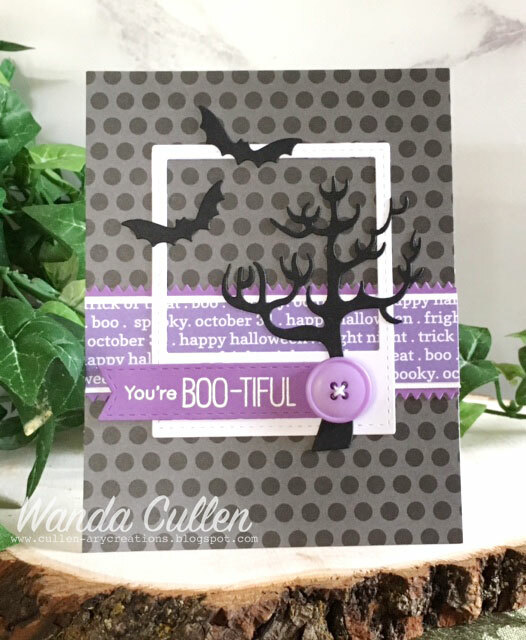 This was a really quick card to put together and I'm really loving Linda's great sketch! This lovely fall cake for The Card Concept challenge is the inspiration for my watercolored leafy card design! 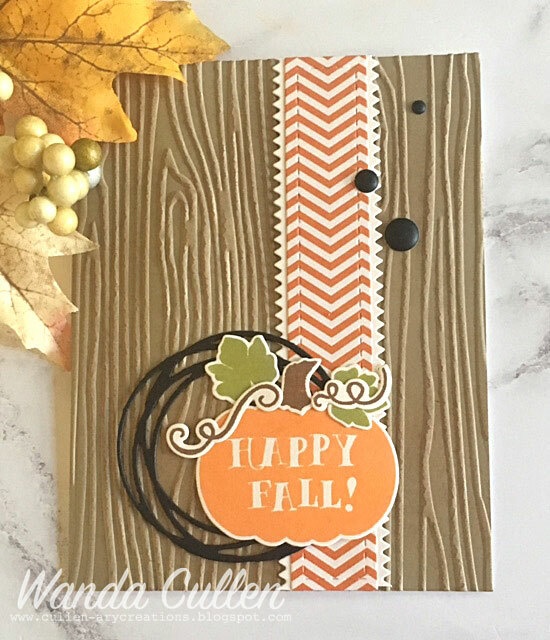 I loved the white on white texture and the falling leaves in the photo...perfect to use some of my fave leaf dies by Simon Says Stamp! I used Crumb Cake ink with Tim Holtz' Stripes stencil then added texture by using Liquitex light modeling paste with a Tim Holtz Bubble stencil. I watercolored a panel of Ranger watercolor cardstock using Mijello Mission Gold paints then die cut with SSS Stitched Maple Trio and Maple Leaf Corner. I love the little stitching detail on these dies! 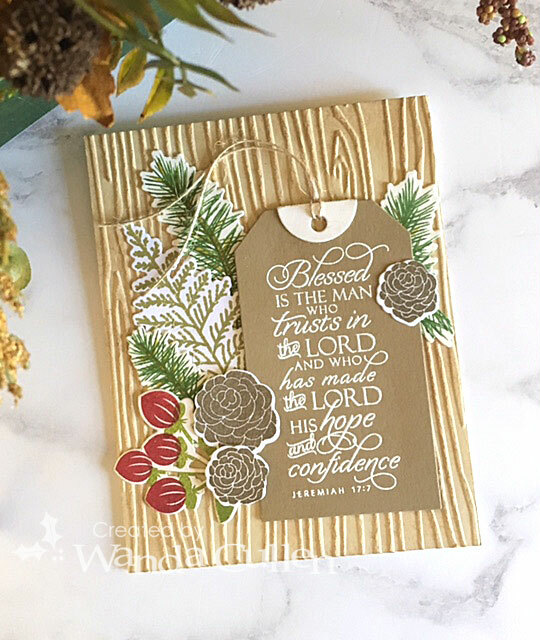 The sentiment is from Simon Says Stamps' Sending and Wishing set - one of my favorite go to sentiment sets! I love pairing it with their Sending die. The stitched border is from Reverse Confetti's Edge Essential die set - another go to favorite! I also used SU Soft Suede and Early Espresso cardstock. I'm not sure what to call this style, but think it fits the mixed media definition. Looking forward to the next 3 days off! Getting my flu shot and planning/shopping for our pastor appreciation table at church is on my agenda! Have a great Wednesday everyone! Night 6x6 pad. 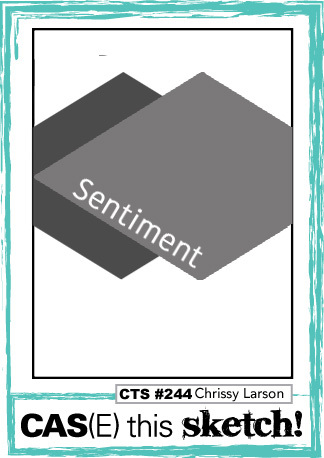 The sentiment - from MFT's Witch Way is the Candy set - was white embossed on Grape Soda CS (Reverse Confetti) then die cut with MFT's Stitched Fishtail Flags Die-Namics. The tiny zigzag borders are from my favorite border set by Reverse Confetti called Edge Essentials. 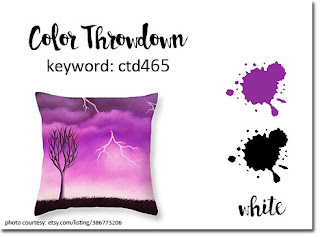 The tree and bat silhouette dies are by MFT. 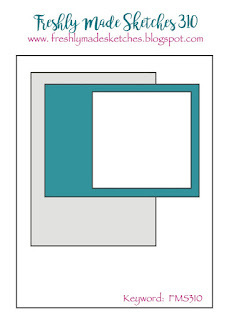 The white panel is a die from Lil' Inker Designs called Instant Camera. Our guest star stamper this week is Estelle TBT of the Scrap of Me blog. Congratulations, Estelle! Good Monday everyone! 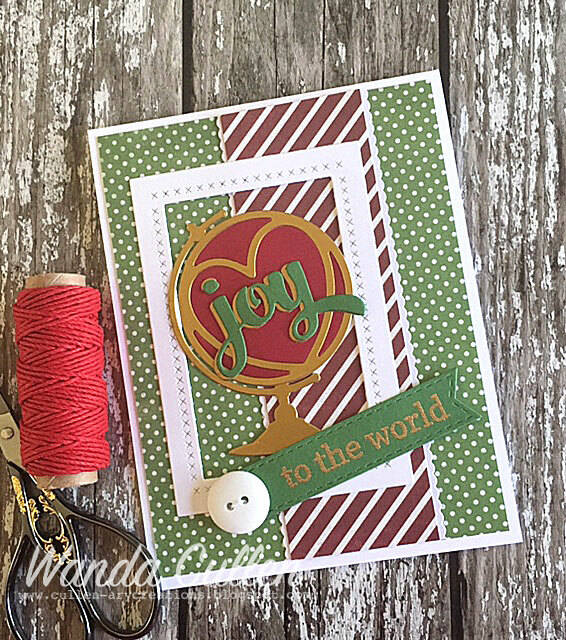 Splitcoaststampers has their annual Fallidays Fest going on and I was asked by my BFF - Teresa - to create a sample card for her Christmas Around the World challenge. 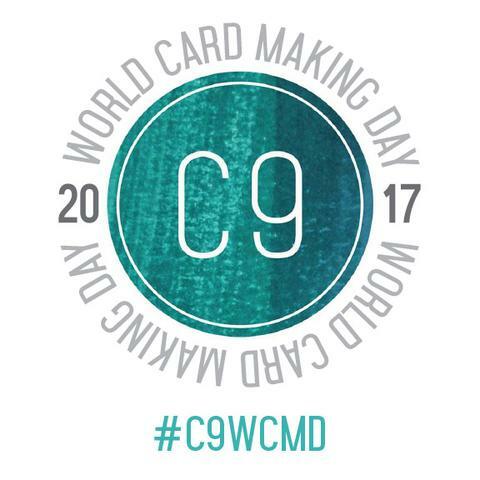 Nothing symbolizes world better than a globe, so this was a quick and easy card to design when I started with Reverse Confetti's globe die. I also used RC's Edge Essentials, All Framed Up and Winter Words dies. 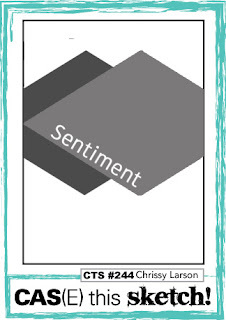 The gold-embossed sentiment - Winter Word Coordinates by RC - was die cut with MFT's Stitched Fishtail Flags Die-Namics. Patterned paper is from So This is Christmas 6x6 pad by Carta Bella. I'm off to work this afternoon and again tomorrow, then have a 3 day off stretch! I have some fall cleaning to do...or I could just play in my stamp room during my extra time off - lol! Hopefully, some of both will happen. I had some Copic coloring fun with this Halloween creation for the MFT Wednesday Sketch Challenge! Everything was stamped with Memento Tuxedo Black ink on X-Press It Blending Card. 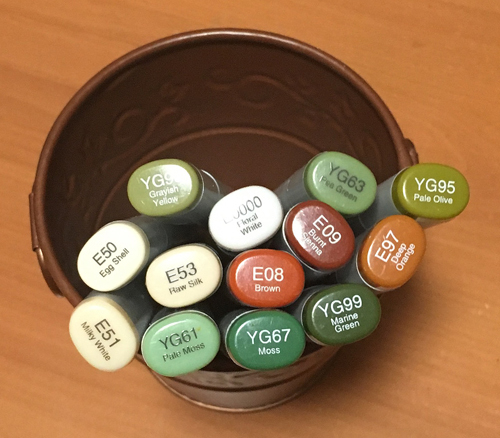 I used MANY Copic colors and totally lost track of all the numbers! The patterned papers are from the Halloween Basics 6x6 paper pad by Recollections. It doesn't show up in the photo, but the eyeballs are highlighted with Glossy Accents which adds such a fun detail! The hat buckle was outlined using a metallic gold pen. STAMPS: Witch Way is the Candy? by MFT. DIES: Witch Way is the Candy? by MFT; Stitched Rounded Rectangle STAX and Stitched Fishtail Flags Die-Namics by MFT. A local country music radio station - WCYK - in Charlottesville, VA has a young single male morning DJ named Tom Morgan who has never received a Halloween card and didn't even realize people sent Halloween cards - lol! So...the station is challenging listeners to send Tom some Halloween cards and they will send $1 for every card sent in to the UVA Children's Hospital! I couldn't pass up the opportunity to send a handmade card showcasing one of my fave sets! Happy Saturday everyone! 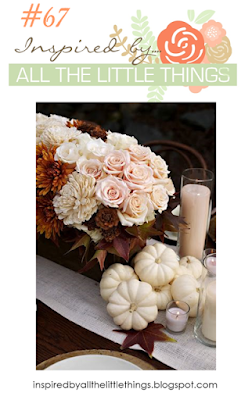 Are you ready for another great Inspired By All the Little Things challenge? 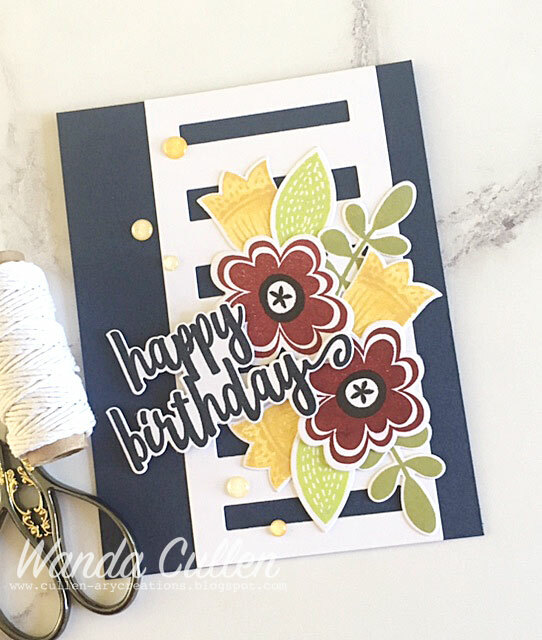 The navy gown in the photo inspired me to go with a navy background and the burgundy roses and variety of greens led me to Reverse Confetti's Blooms 'n Buds stamp set with matching dies. 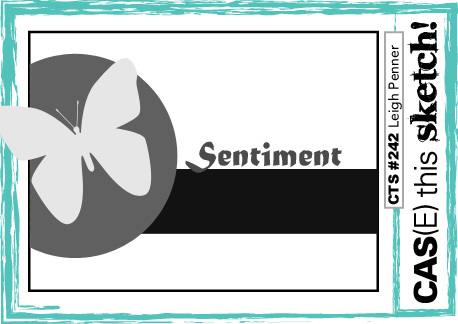 STAMPS: Blooms 'n Buds, Sentiment Essentials - Reverse Confetti. PAPER: Night of Navy, White - SU. INK: Night of Navy, Cherry Cobbler - SU; Versafine Onyx Black; Fossilized Amber, Twisted Citron, Peeled Paint distress oxide inks by Ranger. DIES: Blooms 'n Buds, Sentiment Essentials, Tall Stripe Panel - Reverse Confetti. 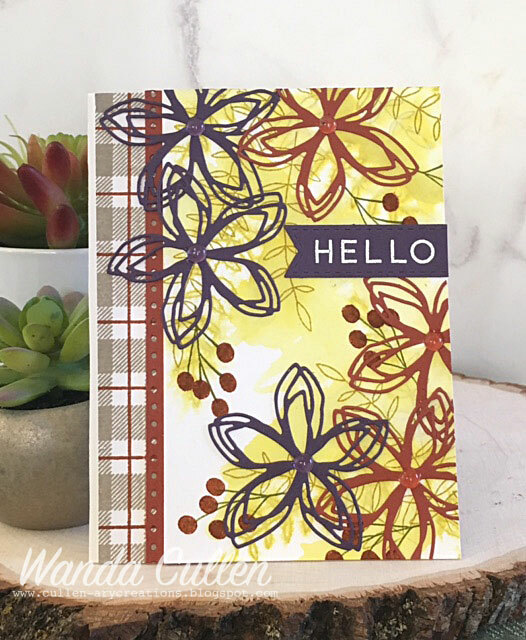 Our creative guest designer for the week is Sandy Mathis of Stamp with Sandy! 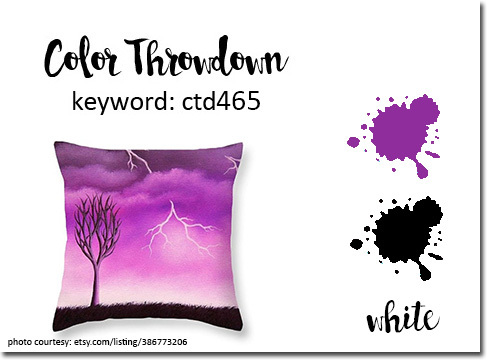 Please stop by her blog to say hello and to check out her beautiful sample! We would love to see how you interpret this photo and hope to see you in the gallery! Yay, it's Friyay and I'm playing along with Simon Says Stamp Wednesday Challenge which is asking us to create a thinking of you card. Though my sentiment isn't those exact words, I thought sending love and hugs is the same thing. 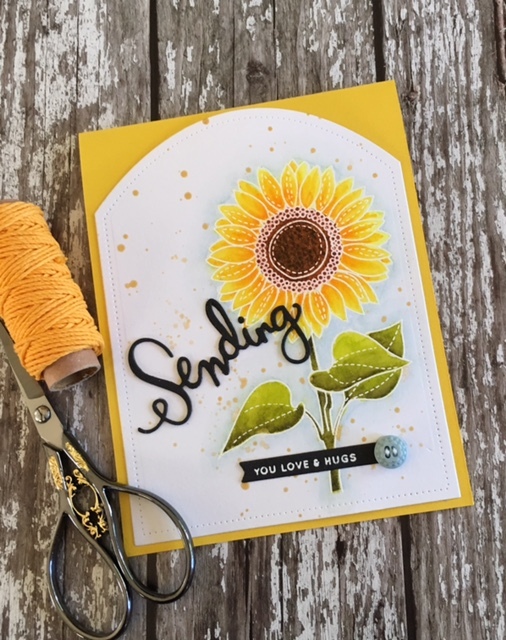 After white embossing the sunflower image, I colored with Zig Clean Color brush markers which makes it so easy to blend and color in small spaces! 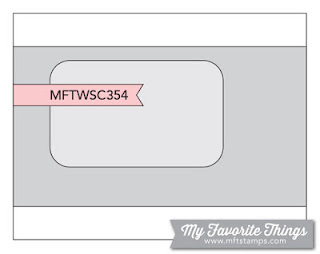 STAMPS: Summer Flowers (SSS), Sending and Wishing (SSS). PAPER: Ranger watercolor, Black Licorice (MFT), Bumblebee Yellow (Reverse Confetti). 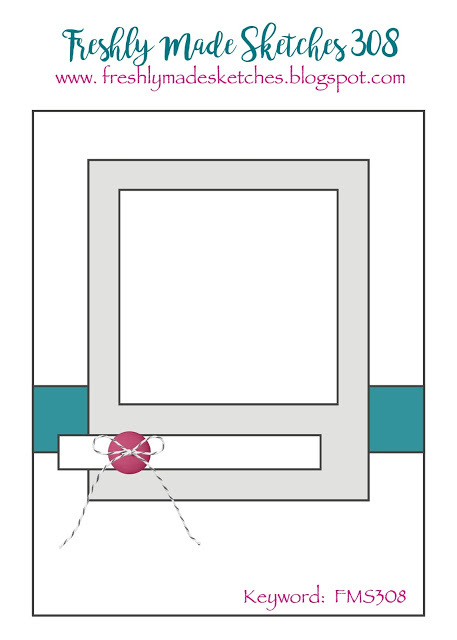 DIES: Sending (SSS), Fishtail Flags Die-Namics (MFT). ZIGS: 051, 050, 052 - flower; 053, 046, 043 - leaves; 061, 060, 065 - flower center; 302 - shadowing. PAPER: Haunted 6x6 pad by MME; Sand by Reverse Confetti; True Black and Vintage Cream by PTI. INK: Spiced Marmalade, Peeled Paint, Vintage Photo distress oxide inks by Ranger. DIES: Edge Essentials, Pumpkin Patch, Swirlies - Reverse Confetti. Our guest star stamper is Rosemary Dennis from Hey There...rosigrl! 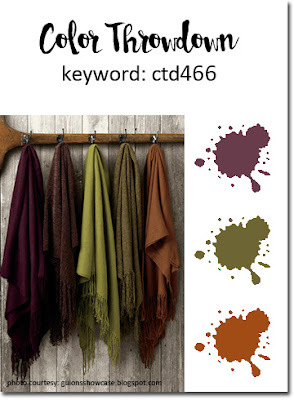 Be sure to stop by her blog and see her gorgeous take on the colors! Happy Saturday everyone! It's time for a new photo inspiration on the Inspired By All the Little Things challenge blog! 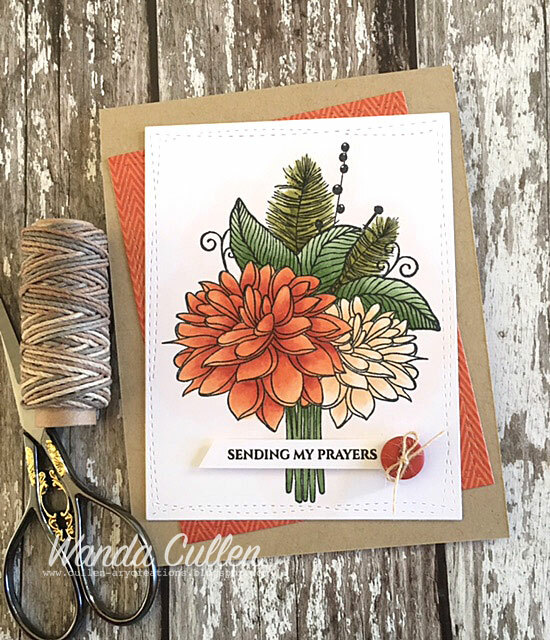 My eye zeroed in on the rust and cream colored mums, so I reached to ink up a recent buy from Simon Says Stamp's September release - a stamp set called Let Us Rejoice. I stamped Memento Tuxedo Black ink on X-Press It Blending Card paper then colored with Copics. 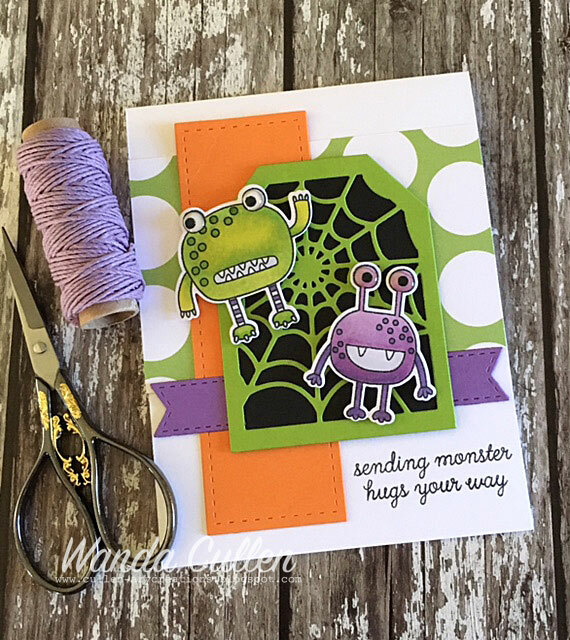 The wonky stitched rectangle die by Lil' Inker Designs was used to frame the image. STAMPS: Let Us Rejoice (Simon Says Stamp). PAPER: Kraft (PTI), Stella and Rose 'Mabel' 6x6 pad by My Mind's Eye. We'd love to see how you interpret this photo, so hope to see you in the gallery! Today is World Card Making Day and Concord and 9th stamp company is giving away nine $25 gift cards for their store if you play along and post on FB or IG using the hashtag #C9WCMD! I couldn't pass up this opportunity for a chance to win! For details, you can check out their blog post HERE. I already had this "smooshed" distress ink background (Mowed Lawn and Wilted Violet) in my leftover stash, so I just added some splattered yellow gold watercolor paint from Gansai Tambi Starry Colors set. I added a couple of frame dies (All Framed Up by Reverse Confetti) using Crumb Cake CS (SU), then gold embossed the elegant leaf from C9's Lace Leaf stamp set. I used the Grateful Leaf die to cut it with my Big Shot. The sentiment also comes with the leaf die and I cut it 3 times - twice with Grape Soda CS (Reverse Confetti) and once with metallic gold CS. That's it from me...have a super weekend!